Applying for classes can seem like a fun, exciting process- and it is, but there are still a few tips you must learn because it can also be a very frustrating and difficult one as well. It’s important to have a flexible mindset and an open mind when choosing your classes. When it comes to UVA, there are just a few things that you have to know before you’re ready to start the selection. What UVA does (and maybe other universities too) is give different enrollment times (your designated time to start picking classes) depending on the kind of student you are, and your year. If you are, say an athlete or have a disability or maybe an Echols scholar, you will have the earliest enrollment time (wohoo for you!). 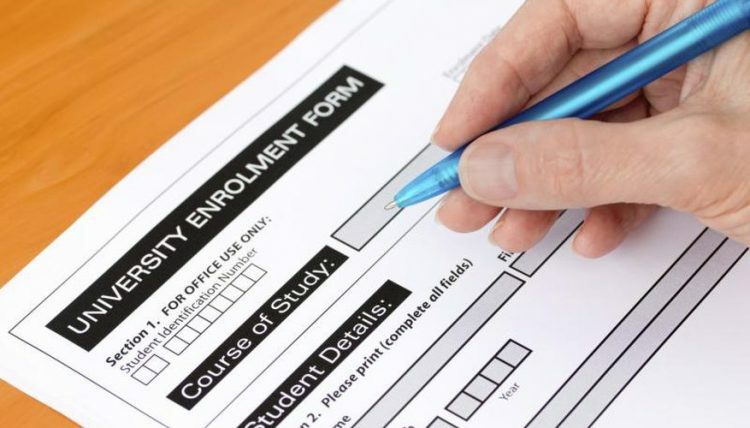 If you are a fourth year, you will also be given the earliest enrollment time. That means if you are a first year with no other exceptions, you most likely won’t get the class times you want since one, you enroll in your classes at orientation for first semester after everyone else, and two, you are competing with the rest of your class. Second semester is also the same story except you are on your own for picking classes. Course Forum is an online site that has (most) of UVA’s classes up to the current semester. It is famous amongst the UVA community because it calculates student’s GPA average in the each class every semester and allows students to create reviews of the class and the professors. Whether you know what class you are going to take or not, the Course Forum is the holy grail for all UVA students because it shows you what classes to avoid. Important fact to know, if most of the students hate the class or the class GPA average is below 3.0, don’t take it. It’s always important to see the views of other people unless you absolutely have to take the class. This is not at all discouraging you to take the lower level classes because they vary, but if you are taking them because you think they are easier, think again. A lot of classes such as Intro to Psych or Intro to Sociology that are at the 1000 level are actually harder than the higher level courses. They are known as weed-out courses for people who are looking into that particular major and professors will make them especially hard for the students. Like the advice says from above, review the Course Forum because these classes may or may not wreck you and your GPA by the end of the semester. *Note: If you have to take some, that is perfectly OK! Just make sure to enroll with the best professor possible in that course if you can. What is particularly frustrating for picking classes is that UVA has large class sizes for mostly intro classes. That means required classes like ENWR 1510 or a language class have about only 15-20 people limit. Unfortunately, you most likely won’t get the class time you want. Be sure to have a backup class/time because if not, have fun spending 30 more minutes looking for another class that fits your schedule, or bumping out a class all together. It will be a much easier process if you come with a mindset that you will not get all the classes you want. It’s important that you have prepared a schedule that can easily be shifted around because as a first year, that is very crucial. That 30 person class on modern topics in Women and Gender Studies (WGS) that you are trying to get into? Not going to happen. Be willing to try a range of new classes because you have so much time before having to choose a major. UVA also allows a 2 or 3 week period where everyone can switch in and out of classes or drop them, so don’t sweat it- and hey, maybe you might get into that WGS course you’ve been aching to enroll in. At the end of the day, class registration is basically like the Hunger Games. There are almost 30,000 students (yikes) that are fighting for the classes they want/need. Attain all the skills and knowledge you can before you’re called to enter the games. Be smart, stealthy, and adaptable, so you too can come out the victor. Hey everyone! I attend the University of Virginia. I am hoping to major in GPH with a minor in French.